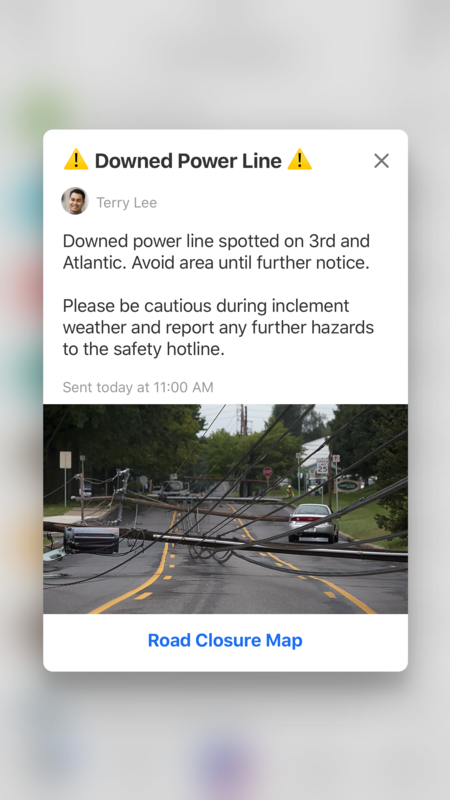 Broadcasts are one way messages sent to teams from an administrator or broadcaster to communicate important information such as safety alerts, updated instructions or company communication. 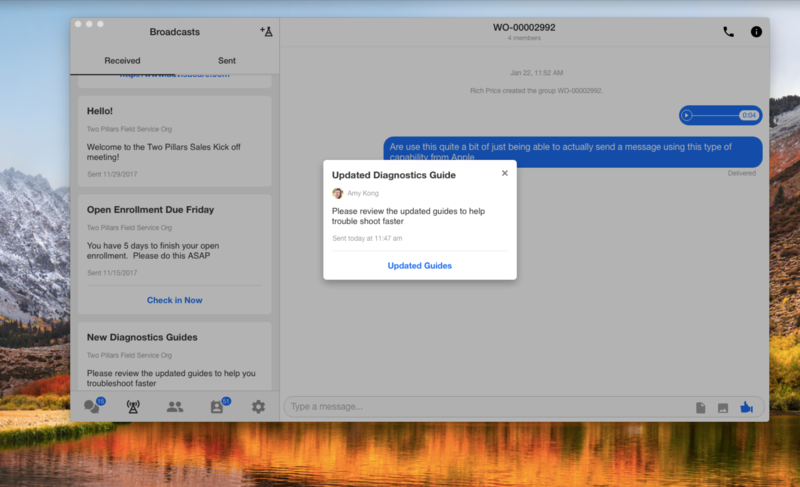 Similar to a Push notification, Broadcasts pop up directly onto users' mobile devices so teams can easily receive the information they need and continue to work. On desktop, Broadcasts will show up directly on the Zinc screen. Broadcasts are limited to 30 characters in the title and 300 characters in the body. Broadcasts can also include links as well as media attachments. Received Broadcasts are found in your content hub. Administrators can also see their sent broadcasts, as well as compose a broadcast directly from their phone. Learn more about sending broadcasts. Broadcast can also be received on your desktop. All received broadcasts are stored in your content hub. Organization Administrators can see all sent broadcasts, and team admins and broadcasters can see all the the broadcasts they have sent. To send a message, simply click on the compose button and the admin console will open up for the user to create messages. Learn more about who can send broadcasts, broadcast lists, and broadcast metrics.